NRL players kiss: NRL defends State of Origin photo in the best way. The NRL just defended this viral State of Origin photo with three powerful words. If there’s one thing people love, it’s a major corporation defending basic human decency in Facebook comments. Yesterday, after the New South Wales Blues beat the Queensland Maroons 16-10 at the inaugural women‘s State of Origin match in North Sydney, there was a touching moment between Queensland captain Karina Brown and Blues player Vanessa Foliaki. Just minutes after the couple of four years finished playing against each other, the pair shared perhaps the best kiss in sporting history. Since the photo is amazing, NRL Australia posted it to their Facebook page, tagging Women’s Rugby League and using the hashtag #OurWay, accompanied by both a maroon and a blue love heart emoji. Unfortunately, there were some who didn’t appreciate the display of wholesome love on their Facebook feed, and who decided to comment homophobic messages on the post. Luckily, the NRL had zero tolerance. “Hey, welcome to 2018… can’t wait for you to join us!” the NRL responded to one homophobic comment on their Facebook page. The words ‘welcome to 2018’ appeared to resonate strongly with the NRL’s social media following, with over 19,000 people liking the comment. 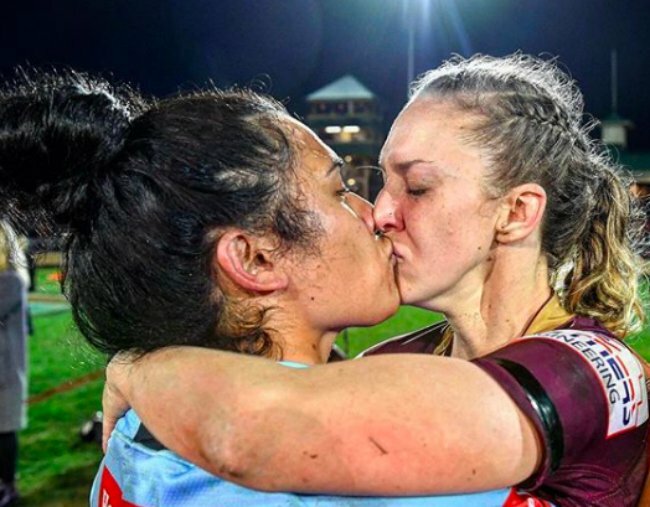 “If we can post a photo of Cooper Cronk and his wife Tara kissing, then we can share a photo of Karina Brown and Ness Foliaki sharing a moment too,” the NRL responded to another comment. Whoever is running the NRL account deserves a million beers. In an interview with NRL.com last week, the couple opened up about the struggles of playing against each other. 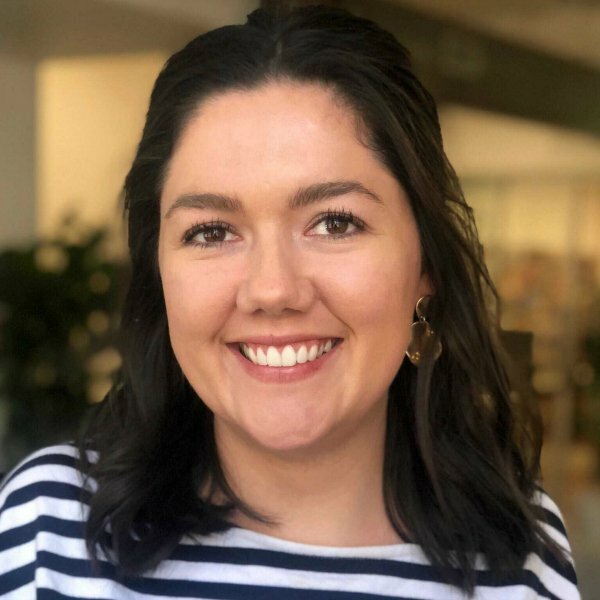 “When we first met it was okay because it was a draw that year, so there was no emotion, but then we got serious and the last three years she would block my number, that’s how serious it would get,” said Karina. “I basically get cheated on every year,” joked Karina. Foliaki shared that when it comes to State of Origin, she can’t think of Karina. “Everyone that I’ve played with for NSW knows when I’m in camp, it’s just Origin – I’m not with Karina,” Foliaki said. “Karina is messaging me, and I’m like ‘she’s a Queenslander’, and I put my phone away. She’s a Queenslander and I want to beat her,” Foliaki told NRL.com.